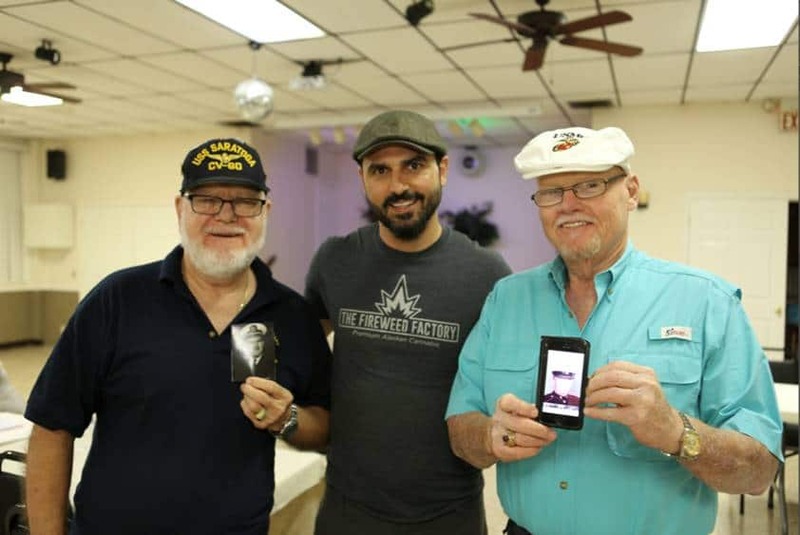 As David “Lebo” Le Batard led a creative workshop for veterans in Pompano Beach, Florida, he asked them to write three words on why they attended. After returning home, many veterans struggle with the impact of the physical and emotional stress they encountered from their time in active service. This can manifest as post-traumatic stress disorder (PTSD), a condition that can cause feelings of guilt, depression, anxiety, and hopelessness. Treatment of post-traumatic stress includes psychological assessment or medication, but one avenue is becoming increasingly recognized for helping military veterans: Art therapy. As Lebo touches upon, art therapy is a creative way to help veterans overcome their traumas and give them a method for expressing themselves through the artistic process. “This creative workshop is really meant to free the creative spirit that I believe is inside all of us, and to use that to be able to heal a traumatic experience we’ve been through or just be able to understand the world around us better,” Lebo says. Creative Forces, a national military healing arts program, states that more than 500,000 men and women of the U.S. armed services live with a traumatic brain injury or PTSD. Fromed by the National Endowment of the Arts and the Departments of Veterans Affairs and Defense, Creative Forces places art therapy at the core of its patient care in 11 clinical sites. 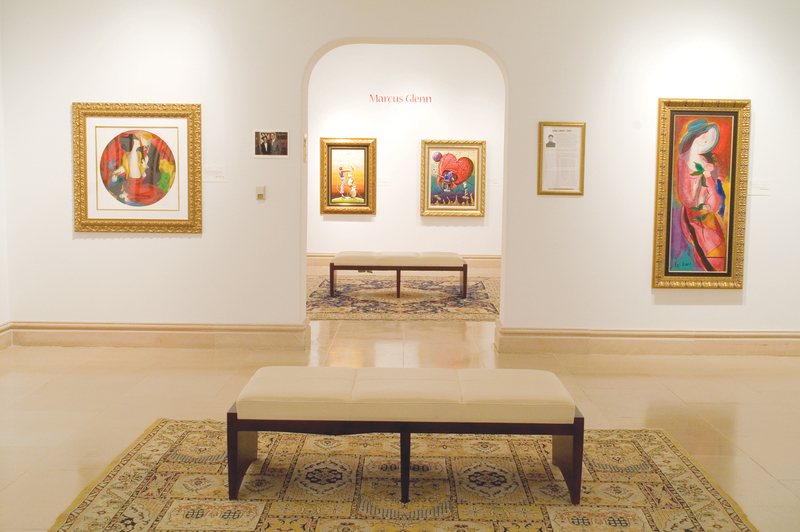 Creative Forces reports 85 percent of patients at the Walter Reed National Medical Center claim that art therapy helped them heal. The network estimates art therapy for PTSD could save more than $1,000 in healthcare costs per veteran, or $1.7 billion. 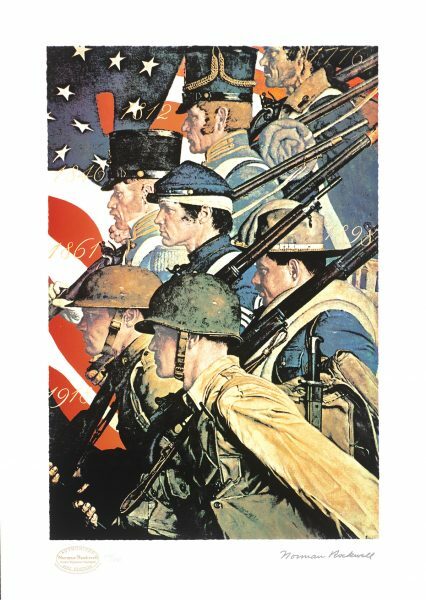 Veterans work on their art. A study by the Creative Arts Therapies Department at Concordia University highlights the benefits of art therapy for veterans. The study asked Canadian veterans ages 28 to 56 who participated in military operations in Afghanistan and Iraq to participate in art therapy twice a week. Another study examined how 246 veterans from the United Kingdom responded to a six-week program to treat PTSD that included art therapy. A total of 87 percent of veterans saw a reduction in PTSD symptoms due to the program. These studies support what the veterans at Lebo’s workshop experienced. 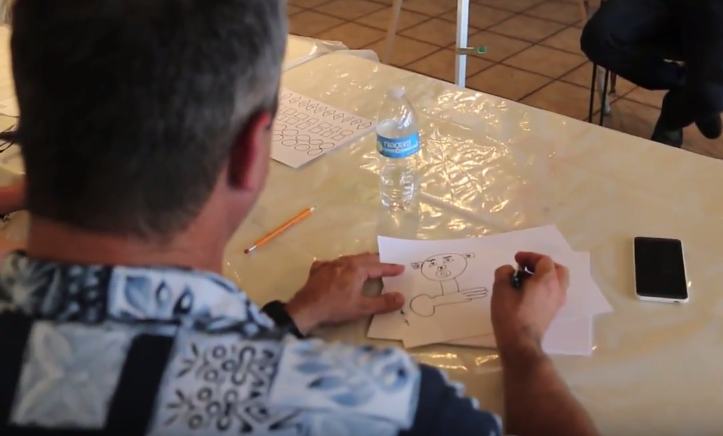 Veterans spoke about how art was helping them let go of their anxiety. 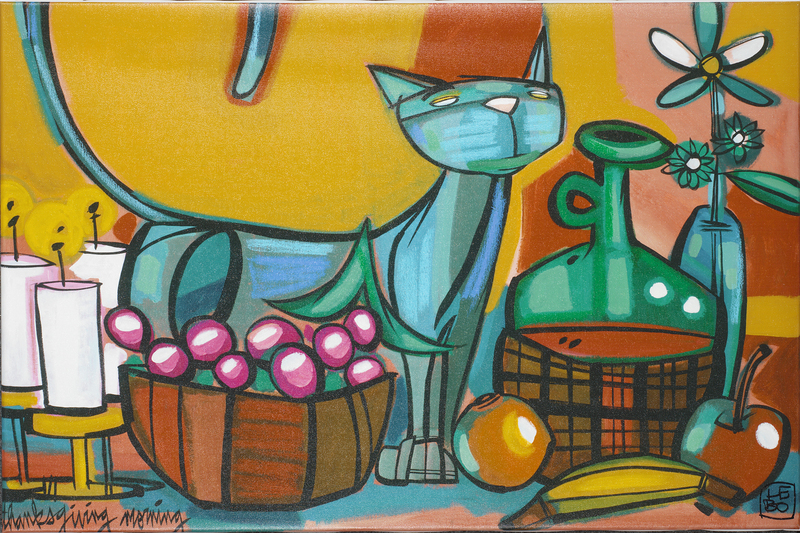 At one point, each participant drew on a canvas prepared by Lebo. One U.S. Marine veteran—who went by “Zipcode”—wrote the name of a soldier who helped him survive in Vietnam, noting that the therapy made it easier to speak about his fallen friend.